It’s a win for disk golfers in Kamloops who will soon be getting a new course as part of a multi-use park on McArthur Island. It's a win for disk golfers in Kamloops who will soon be getting a new course as part of a multi-use park on McArthur Island. Council approved the new park, which will include an18-hole disk golf course and nature park, in a five to three vote this week. It will replace the old golf course on land that the city owned. "I believe in a recreation that is going to get people into parks," said Mayor Ken Christian, who was in favour of the plan. Disk golf, sometimes also called frisbee golf, follows similar rules to golf but uses a a flying disk instead of a ball. Work on the multi-use park in MacArthur island, including the disk golf, will be phased in over three years at an estimated total cost of $1 million. Not everyone was on board with the idea of combining a nature park and golf course, though. 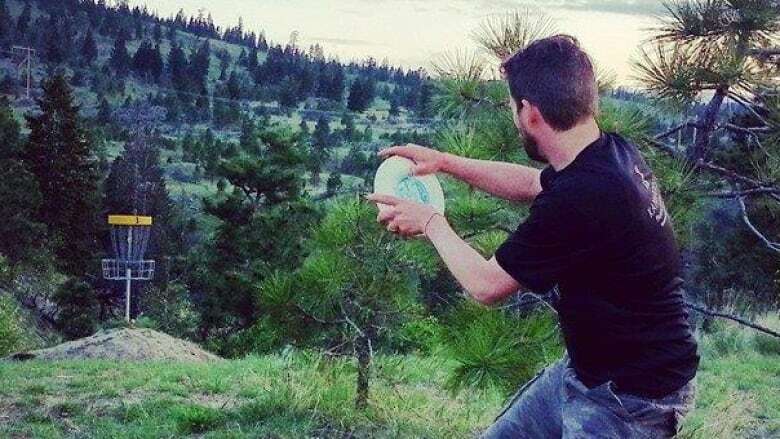 Debate about replacing the old golf course on MacArthur Island went on for over a year, with the Kamloops Naturalist Club firmly against the idea of combining a disc golf course with a nature park. Some critics feared a disk golf course would interfere with nature and create a hazard for other users. "I don't believe that [recreation areas and nature parks] should be exclusive of each other," he said. "We have invested in Kamloops in a number of naturalized areas." Parks Manager Jeff Putnam said the two proposals can live in harmony in the park. "It's been interesting for sure. There is a lot of opinion in the community," he said.
" But [the disk course] is designed in a way to avoid sensitive areas and areas that we would like to naturalize in the wetlands and riparian areas," he told Shelley Joyce, the host of CBC's Daybreak Kamloops. The plan also includes a naturalized playground, a picnic area, pedestrian bridges and a rest area.